Last week we had the immense pleasure of dining at LA hot spot Animal. It was a very fun evening with good friends, and the meal was beyond reproach. Truly...it was one of the best meals of our young lives, and we are already looking forward to a return trip to LA to have a crack at their menu again. 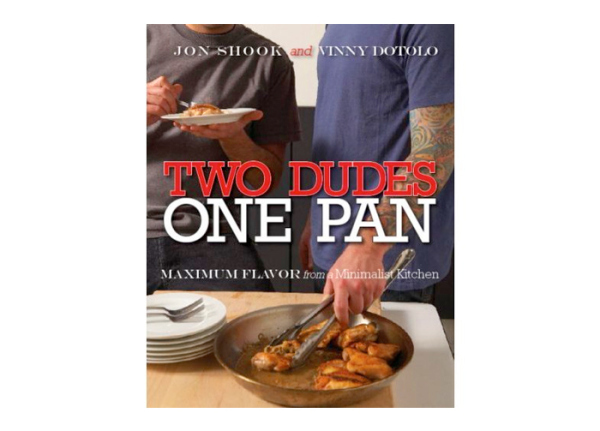 Doing a little research on the chefs and owners Jon Shook and Vinny Dotolo, we learned that they've have graced the world with a cookbook. The book features over 100 recipes in where one only needs a skillet, roasting pan, or dutch oven to create a fantastic meal. In addition to their simple approach with regards to equipment in the kitchen, the dynamic duo also believes that one should't have to spend a fortune to create a tasty meal, and these recipes won't send you running to the local gourmet shop looking for some hyper-expensive and obscure ingredient. We ate their food, and were sold on this cookbook before we even knew it existed. You can learn more here.